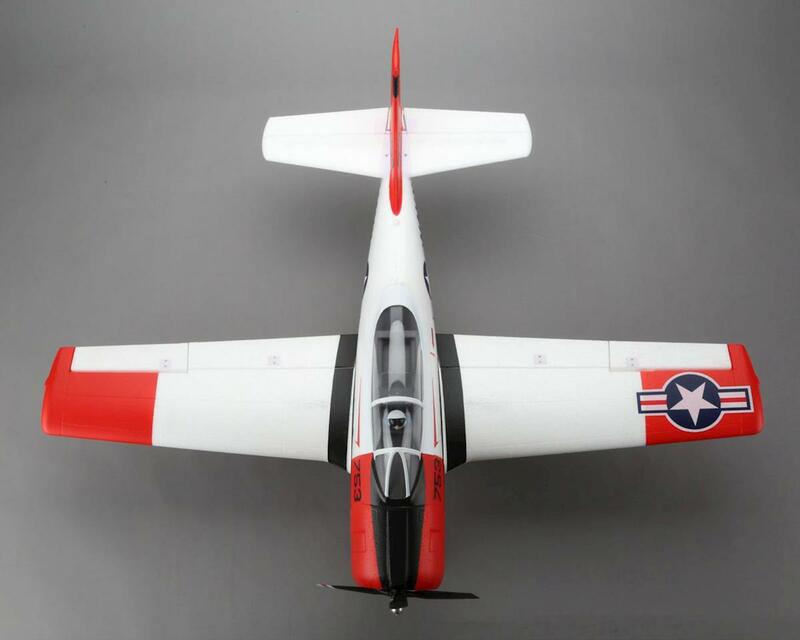 The E-flite T-28 Trojan 1.2m is equipped with operational flaps and retracts that make it perfect for the intermediate pilot looking for a more realistic flying experience. 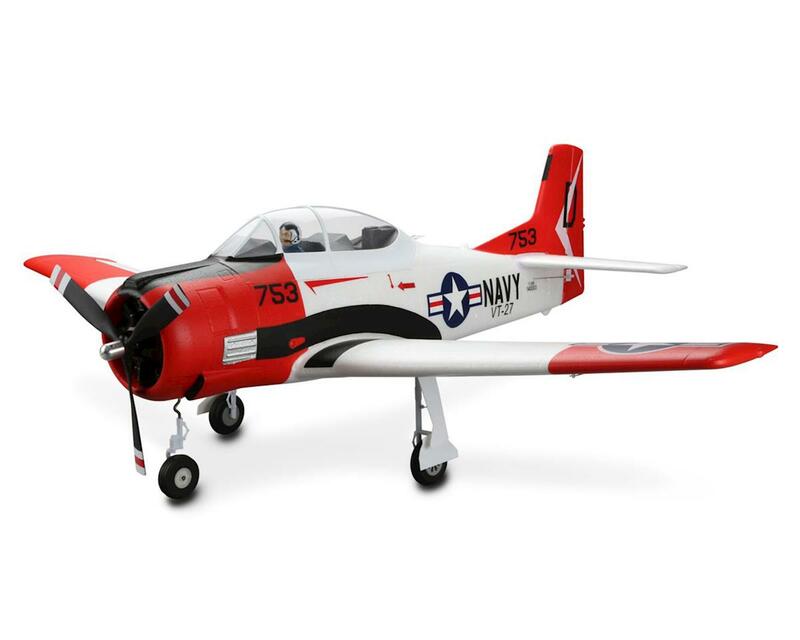 Not only does it have the appeal of a warbird with it's scale military details, the faithfully recreated design gives the Trojan 1.2m docile flying qualities that make it pure fun. 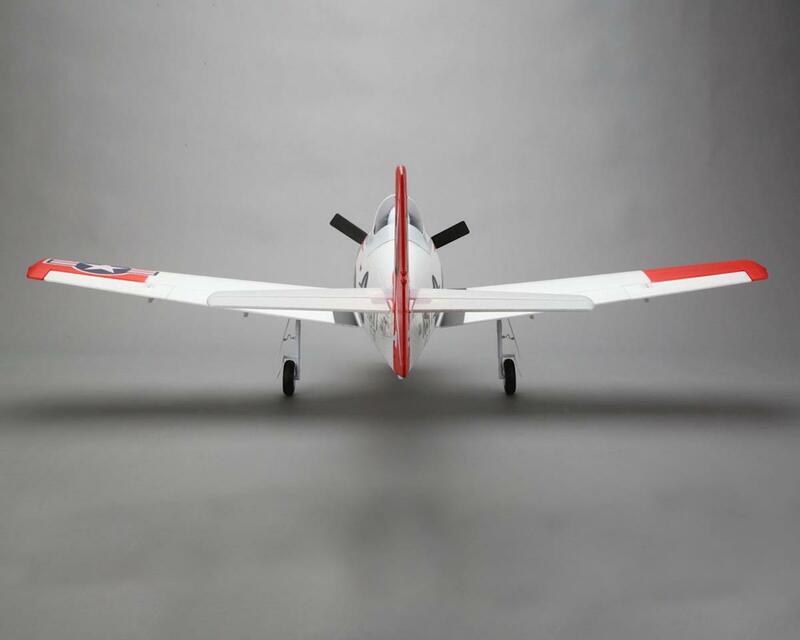 Z-Foam material keeps the overall weight low and allows details like panel lines to highlight the look of the airplane, while offering a level of durability that’s ideal for everyday flying. 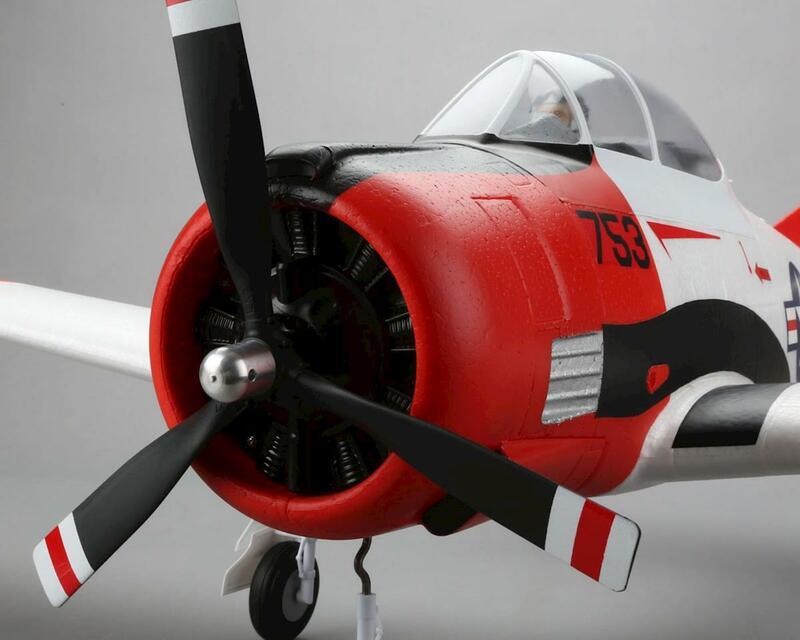 But, the feature that makes this warbird something special is AS3X technology. That’s because the included compact Spektrum AR636A DSMX receiver features an AS3X system that’s specially tuned to give you the kind of rock-solid flight performance of a larger, expertly tuned model. 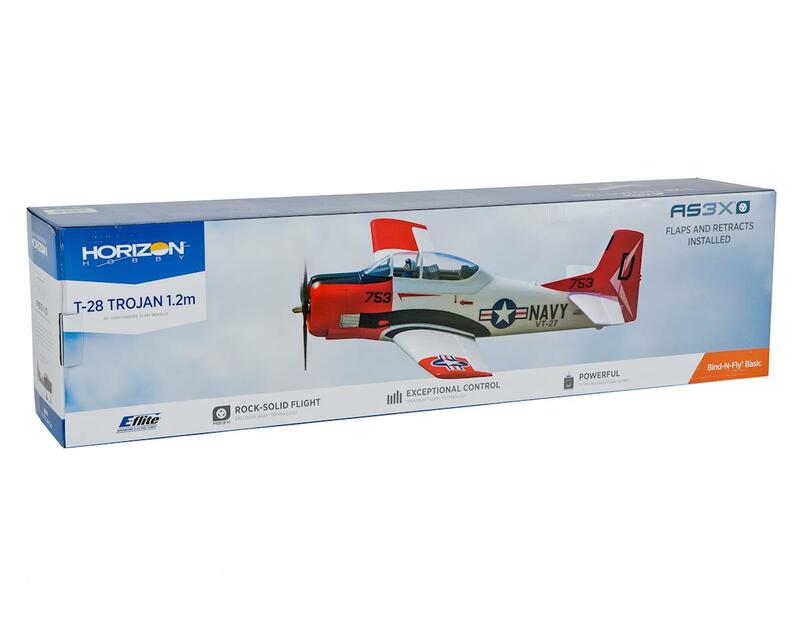 If you’re a fan of the original ParkZone T-28, now is your chance to enjoy the performance upgrade you have been waiting for. 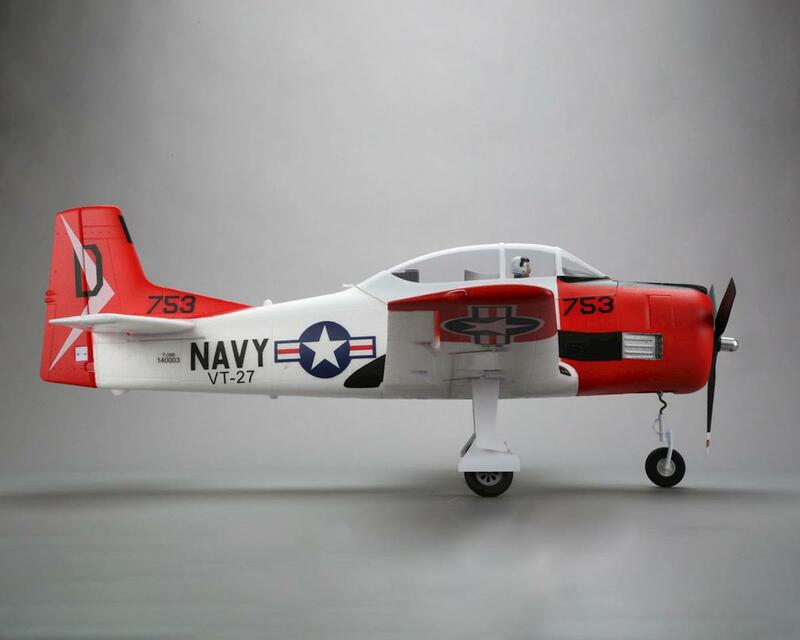 Outstanding airplane. 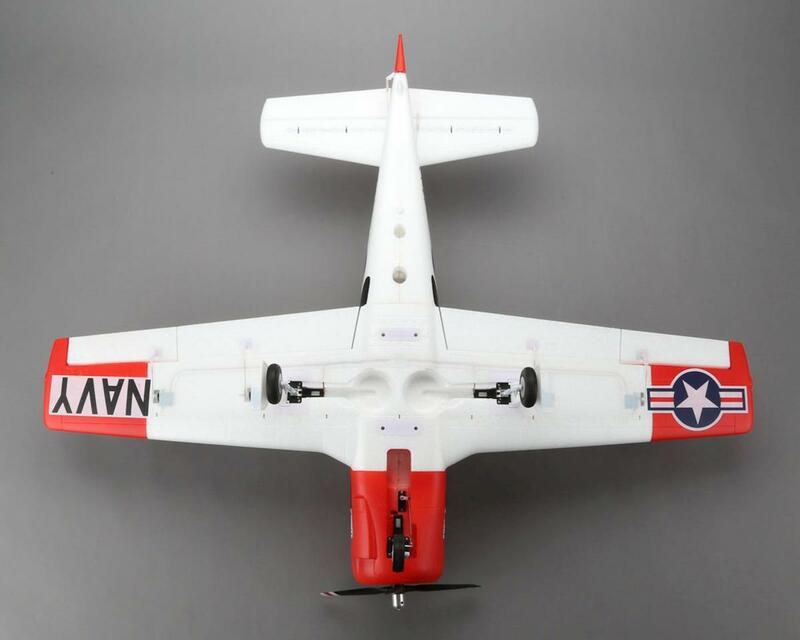 I bought this as my second plane (trained on mini apprentice) and have flown it with ease. Have noticed it’s a little nose heavy with the 2200mah 3S battery so I have to adjust the battery aft a little bit. Otherwise I can tell I will enjoy this airplane for a long time! Highly recommend.